Dancing Through The Storms | "Life isn't about waiting for the storm to pass… it's about learning to dance in the rain." 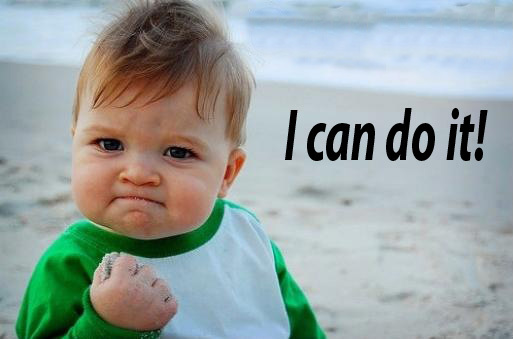 The Hay House ‘I Can Do It’ World Tour 2013 is in full swing. Now you can spend the weekend listening to some of the most inspiring authors of today in a unique setting, the Hay House I Can Do It! Conference. You can meet your favorite Hay House authors and see them live. You will enjoy the opportunity to listen to them speak in either keynotes or workshops, for either one day or an entire weekend event with optional pre-conference workshops. … they promise to be truly inspiring events! What’s the next best thing to being there? Discover and experience the event through the Live Video Stream. We are excited to offer a Live Video Stream viewing option for select I Can Do It! Conferences. Join us and others from around the globe and watch the Live Video Stream Online. Book your place now or read more details by clicking here. 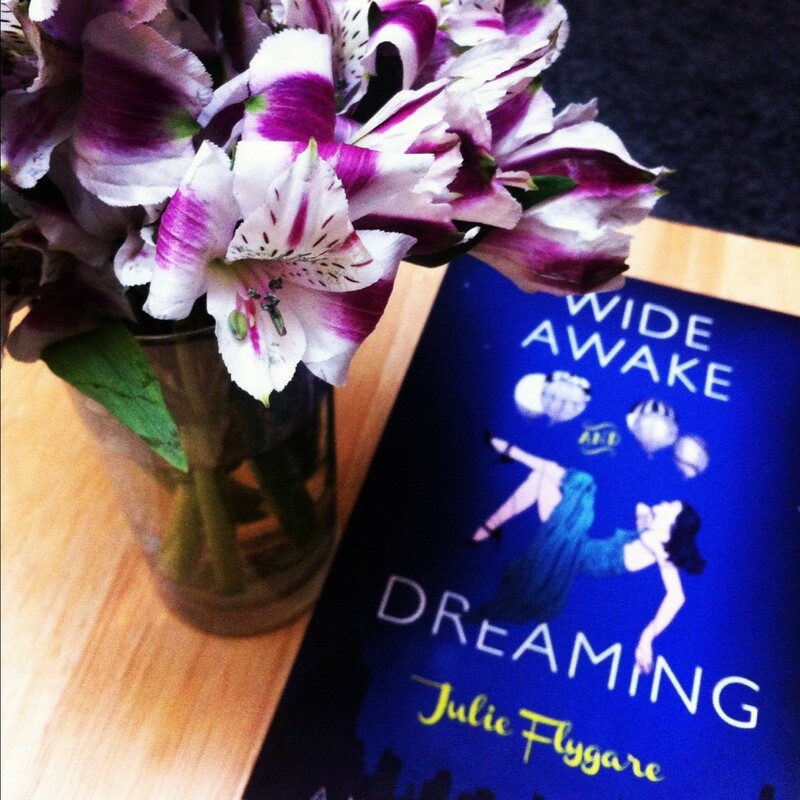 A couple of weeks ago, I reviewed Julie Flygare’s book, Wide Awake and Dreaming. What I didn’t know then, and have found out today, is that Julie self-published this book. I would never have guessed. I have read it and it was perfectly proofread, the story flowed as well as I would expect from any memoir, and it has an attention-grabbing title and cover. For such a long time, self-publishing has been considered the poor relation of ‘traditional’ publishing by large publishing houses. Granted, some self-published books I read in the past would have benefitted from some editorial input and proofreading, but the content was great, and I have been happy to overlook a few spelling and grammatical errors for the pleasure of reading such a good story. The early feedback generated to those authors and the self-publishing world has led to self-published authors upping their game and now many are giving the big publishing-houses a run for their money. So how do literary agents feel about the rise of self-publishing? Well Kathryn Beaumont is a literary agent who has also featured Julie’s book in her blog which you can read here. Kathryn followed up that article with a really useful guide to choosing whether to self-publish or not. What Julie has also shown is that self-publishing is a valid and convenient option for somebody who self-manages a health challenge too, particularly when the subject-matter is something a publisher will probably have no experience of, and considers it such a small niche market. Obviously, a lot of people care. Julie’s successful efforts have led to her becoming the ‘voice’ of people with narcolepsy. It has propelled her into tireless (perhaps an ironic choice of words for a person with narcolepsy) campaigning for narcolepsy awareness. You can purchase Wide Awake and Dreaming: A Memoir of Narcolepsy from Amazon.com and Amazon.co.uk. Every writer dreams of the day when they can profit from their writing. While income opportunities abound for writers, each method has drawbacks. Newspaper and magazine reporters can make a good living but their subject matter is often closely regulated and directed. Corporate writing can be even more lucrative but even more tightly controlled. Freelance writing offers more freedom but is also more uncertain. Publishing books is even more uncertain. So what is a writer to do? Forget all those old-school writing methods and focus on the internet. Don’t write for anyone but yourself. You really can profit from writing only about what interests you. Don’t worry about the market or the editors. Write for yourself. Not only will it be more fun and rewarding for your soul but for your checking account as well. I am going to share an easy (and cheap) 5-step formula that can help you start your own writing business today, but first I want to share one important fact. This is not a get-rich quick scheme. It will take some time to earn, perhaps as long as several months to begin turning a profit, but if you keep working at it you should see your income grow exponentially each month and you should be able to count on that income and know what you have to do to increase it. You will have total control over your income and that is very powerful. Most of all, if you are doing what you love, that is a reward in itself, and often financial reward comes off the back of that. 1. Create a blog account at one of the free blogging sites available online (I use WordPress but there are many other good options). This will serve as your internet base. It really is the cheapest and easiest way to get online today. 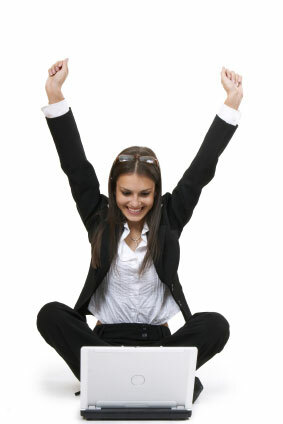 Yes, you could create a free website at one of the many available, but blogs are more attractive to the search engines. Plus they offer you the ability to personalise it but most of your energy will be spent on content which is the king of the internet and the real reason you want an internet presence. 2. Now sign up for a free ClickBank affiliate account which will give you immediate access to something to sell. 3. Sign up for a contextual or pay-per-click advertiser such as Google, Yahoo, Revenue Pilot, or SearchFeed and you’ll start earning from visitors as well as customers. 4. Develop your blog. Make 10 your immediate goal then work your way up to 25, 50 and 100 and so on. Your entries can be your opinions, thoughts, or ramblings; poems or short stories; or articles. 5. Promote your blog through article marketing, link development and submitting your blog feed. I would suggest you primarily focus on article marketing as it offers the ability to not only develop links but also delivers traffic, plus as a writer it is easy for you to create articles or use a selection of the material you’ve already created for your blog. Also, a great method of promotion is by connecting with other bloggers, through Facebook groups and other forms of social networking, and also by commenting on other blogs. Getting started on the web can be free (as you see above) or inexpensive if you concentrate on what you really need. The simple truth is that you don’t need a lot of fancy, expensive tools and programs. In the long run a domain name is a good investment. A domain name will cost you between £5/$5 and £10/$10 a year depending on whether you go .com or .info (or one of the many other options available). You don’t need to find a web host or create a site. Simply use web-forwarding to point the domain at your blog for now and continue with the development and promotion of your blog. The advantage of owning your own domain name is simply that later when you have the money, time, and knowledge to develop your web site that domain name will already exist and have filtered through the search engines. It also offers some marketing advantages that a free blog cannot. At some point you may decide you want more flexibility and control than a free blog can offer and that is when you will want to run your own site. You can find a good web host for as little as £5/$5 a month and shouldn’t pay more than £20/$20 a month for a reputable host that offers all the tools and utilities you might need for your current site – including blog software. Maybe down the line you’ll need to upgrade but by then you’ll know your income and your needs. Really the only other regular expense that you might consider to make your internet business complete would be a mailing list tool. You can do this for just $20 a month and it will be worth every penny for sales, customer service, and promotion. But this is not necessary to start out and you may decide that it isn’t important to your efforts so you can skip it entirely. Once you have your blog set up and monetized (by offering ClickBank products, advertising, and/or selling text links) then you are in a position to begin profiting from your writing. The way to profit is to increase your traffic so you need to get serious about your article marketing efforts because each article you distribute will generate immediate traffic and create back links for search engine optimization. Also you need to continue to grow your blog by adding fresh content regularly. This will create repeat visitors as well as bring the search engines back again and again. Simply publishing new articles and new blog entries each week will increase your traffic. The more articles and entries you create — the more traffic you will generate. Once you have found your rhythm with your existing blog you may well decide to branch out and create a second blog on a different or related topic. Now you should be able to work even faster because you are more experienced but likely more motivated as well because you can see just how rewarding it can be to write for fun and profit. The whole idea of the Law of Attraction is to be a co-creator with the Universe, God, your source, whatever energy force you believe created us, in manifesting the things that are deepest to your heart. When you use the Law of Attraction in the right way you can experience manifesting your desires at a much faster rate than you ever would have had you not made the effort to use it correctly. You can use the Law of Attraction to manifest faster results by taking the following steps. Gratitude can dramatically change your life but best of all it gets the Law of Attraction to give you more of what you are feeling grateful and happy for. When you are feeling frustrated and down the Law of Attraction gives you more reasons to feel down. You manifest more situations that make you feel unhappy. So as the first rule to manifesting faster results, begin to see all the things in your present life that you are grateful for no matter how simple it is. My personal favourite is The Secret Gratitude Book. b) Say “Thank you” more often. We often take for granted when people do little things for us, like a partner doing the laundry or making us a cup of tea. Gratitude generates positive energy, and what we give out, we get back. It may seem hypocritical at first when you learn of the Law of Attraction to speak of your desires as if they are already here. In reality all things are already created. The moment a thought is conceived you have brought it into your reality. The more you speak of that thought the stronger it becomes and the faster it moves into your state of being. Think of a child who becomes eager about the thing he or she wants. See how eager they are about it? They look up pictures about it, they speak about what they will do when they get it. They don’t worry about how or when it will come, they just know and above all they are excited about it. Speak with joy about what will come into your life because your words and thoughts about it feeds that creation and brings it to you faster. You may be asking, how can I surround myself with the things that I want if I don’t have it? It may not be yours at the moment but you can borrow, you can visit, above all you can place yourself in the environment and among the people who are closely linked to the things you desire. The successful application of the Law of Attraction depends on you already being in that energy of what you want. It is up to you to create the state that you want to attract and you do so by being among the things that you want until it is fully yours. The Law of Attraction will give you quite easily what you bring into your focus, whether you are speaking of it or observing it. You get more of what you surround yourself with. Several years ago, my friend owned a beautiful car. I admired it so much, I told her if she ever considered selling, I would like first option to buy it. One day, a year or two later, we went to the Royal Ascot races in her car. She fancied having an alcoholic cocktail or few, so I offered to drive her car back home. Oh I relished that journey so much, and reminded her if she were ever to sell it, I wanted it. A couple of weeks later, she called me and said she was ready to upgrade to a new Toyota Celica so was selling her old one. I jumped and said “I’ll have it. It’s mine!” and got the money the next day to buy it. That was 6 years ago, and I still love my 18-year-old Celica as much as the day I bought it. Let go of what you want. Yes, let it go. Know that you desire to experience a particular thing but don’t hold on out of fear of doubt. The more you cling on to the needing or wanting feeling the more disastrous your manifesting will be. You will only succeed in feeling more needy. Allow yourself to feel full and confident. Those who understand how the Universe and the Laws of Attraction work easily understand the power of their intention and don’t feel stress or needy. They create and know that the Law of Attraction is working for them and what they create will soon manifest. They create then let go and move into the state of receiving. Someone I know has a great way of manifesting. She keeps a beautiful jar, into which she pops pictures of things she would love to have: home furnishings, appliances, holidays, etc. She pops in the picture with the thought “Wouldn’t that be lovely?” and then lets it go. Around New Year, she goes through the jar and is always amazed and thankful for how many of those things have manifested. She is one of the luckiest competition winners I know. To activate the Law of Attraction you must move into the state of receiving. This is something most people cannot do. Many people say that they want certain things but few people know how to receive those things that they are asking for. Most people feel doubtful or unworthy about what they want. Deep within they feel that they do not deserve nor will they get what they are asking for. Those tiny feeling of unworthiness are giant blocks in the manifesting process and can only serve in destroying what you are hoping to attract. The Law of Attraction is a science that takes you deep into your inner nature and allows you to see where you are feeling disconnected as a co-creator with God and the Universe. Become worthy and allow yourself to receive. Some people find it very hard to receive a compliment. This is a sure sign of a sense of unworthiness. A typical one for a woman: someone says “Oh what a lovely dress.”, and the woman will reply “Oh this old thing, I’ve had it for ages”, rather than simply saying “Thank you, I like it too”. If someone offers to buy your coffee, allow them to. By not receiving gratefully, you are not only stemming your own flow of abundance energy, you are also not allowing the other to give you a gift, which would be good energy for them too. You know how good you feel when you give a gift? Allow others to feel that good feeling by accepting their gifts, whether they are material or compliments or good deeds. One of the biggest blocks in manifesting is the feeling of unworthiness that most people feel. God wants you to have, the Universe is great enough and there is more than enough for you and everyone else. You are worthy! You may not have all the money in the world for yourself but you do have something of value and that thing which is of value to you may be in scarce supply to someone else. Give to others and you will be stunned and amazed by how fast the Law of Attraction will manifest abundance in your life. You do not have to give money to give value. You can give in the form of voluntary services, a listening ear, visiting an elderly neighbour, random acts of kindness. 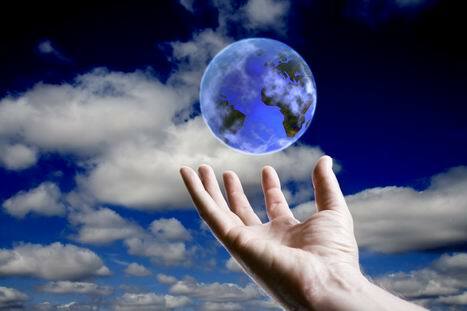 There is a natural flow in the Universe and in order to manifest more you must also be in the flow of giving. Give to others as long as you do not give more of yourself. There are many flawed concepts of giving more than you have, this is very faulty. Give only what you can, never ever deplete yourself. Give what makes you feel happy to give. Give with love on a regular basis but also be aware of conserving your own and the Law of Attraction will bless you by bringing to you much more than you give. As you give you will get and you will manifest much more than you could ever have imagined and much faster too. Manifesting takes a delicate balancing act. The Law of Attraction requires a look inside of yourself to gain more harmony with the universe. The moment you discover the steps everything flows faster and greater. 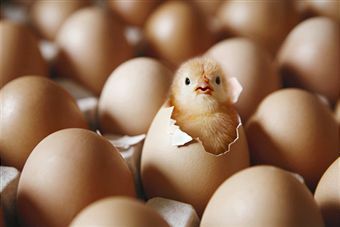 At some stage in your life, you’ve probably been told not to count your chickens before they have hatched. You were probably told to not get your hopes up and to not expect too much – just in case you might be disappointed. For most of us this, or some variation of it, was told to us over and over again by well-meaning, but ill-informed people. From an early age the idea of staying in an emotional “safe zone” was instilled in most of us until it eventually became belief systems that now control our behaviours. We live in a culture were the predominant psychology is based in fear. The fear of loss drives and motivates most people’s decisions and behaviours. From this mindset the subconscious invented mechanisms to protect itself and a saying like “don’t count your chickens before they’ve hatched” is but only one illustration of how the culture prepares and “grooms” us from an early age to settle for the lowest denominator. “Go for the lowest and easiest to make sure that you at least get something.” “Don’t expect too much, just in case you don’t get anything at all.” From this mindset we lose all our power; the power that is born in the belief that we are indeed worthy of all the success and all the abundance that we can possibly dream of. Expectation is one of the most powerful resources that you possess. An intense anticipation can transform possibility into reality. One of the biggest reasons why most people never get to live their dreams is because they lack the motivation to follow their dreams. The real purpose of a goal is to act like a directional compass that guides your life in a specific direction. A strong and exciting goal has the power to motivate and inspire you. When you fuel this goal with expectation you set in motion an unstoppable force that will give you that internal drive that will enable you to create virtually anything you desire. When you count your chickens before they’ve hatched you create a sense of excitement and enthusiasm that has immense power to motivate you. Success and achievement are rarely the result of your ability but rather the product of your motivation; of your ability to consistently take action on your dreams and goals. Expectation is not the same as hope. Most people hope that one day they will get what they really want or that one day they will get lucky and all their dreams will come true. Hoping is nothing but a weak prayer. Hoping always includes success and failure while expectation is solely fixed on one single outcome. When you count your chickens before they’ve hatched you nurture your expectation; you make it stronger and most importantly, you make it real. It is a fixing of purpose where no-one or no-thing can throw you off course. When you create that intense feeling of expectation you not only imagine having what you want but you start to create the feeling of already having it. Whatever you expect with certainty will become your own self-fulfilling prophecy. We all long for certainty on some level. For most people certainty comes from seeing and experiencing things before they “believe” it. This is why they keep re-creating and experiencing the same old things over and over again. When you use your mind, your emotions and your imagination to create the certainty within you, then anything is possible. Expectation goes beyond hoping. You want to be like the little kid on Christmas who knows that he’s getting a new bike, but he has to wait until Christmas morning before he can actually feel and touch it. Have you ever ordered something really exciting and then had to wait for it in the post? You knew you were going to get it and you anxiously await the moment of delivery. You anticipate the moment where the image in your mind’s eye becomes real and where you can touch it, even though the imaginary experience felt just as real. This is what expectation really is. It is getting excited in advance. It is feeling the feelings in advance. It is the most powerful motivator there is. Expectation, fuelled by emotion, acts like a vacuum within you. It is like a thirst that forms a burning desire that you will do anything to fulfil. This is when your “should’s” become “musts” and when it is a must you will get it. With expectation you can start to transform your perception of life, especially your life. Because you no longer hope for what you want, you expect it to come along any second. There are no more doubts and no more hoping. There is only a knowing and a feeling of certainty. When you know something you can stop doubting and questioning. Now, every situation becomes an opportunity to receive your goal. Every person becomes a player in the process and every problem becomes a stepping stone towards the realization of your dreams. You have that certainty that the outcome is resolved and that you are merely in the process; waiting for “Christmas morning” to come. You have to let go of the mentality that is based on the fear of loss; the mentality that is grounded in the belief that you are not worthy of having it all. Let go of the beliefs that you might be disappointed when you give it your all and it doesn’t work out. All they do is to lock you up in a world where you never even “try” just because you might not make it. If anything, you want to overestimate your abilities. Overestimate your capability. When you feel like you are running up a hill that is too steep, don’t turn back and run down hill. Instead, up the prize for getting to the top. Make the reward more compelling and you will find within yourself a strength that was previously unavailable. This is how you access your real resources, those resources that lie asleep within you waiting to be called upon. Nothing of significant value has ever been created without enthusiasm. Do whatever it takes to “count” your chickens; whatever it takes to create the feeling of already having it. If you have goals you need to start living them and the way you do that is to build your expectation. Do whatever it takes to create the feeling of already having it. Make it real. The legendary musician, Jackson Browne once said that whenever he gets nominated for an award he always expects to win, even when he is the underdog. He always prepares a victory speech. What is your victory speech? How can you prepare for what you desire most from life? What can you do to make it real? Most people plan to fail by never expecting to succeed. Remember that your results will rarely exceed your expectations. Jim Carrey, when he was broke and poor, would go and sit looking at the Hollywood sign. He wrote himself a cheque postdated 3-5 years ahead, for the sum of $10 million for ‘acting services rendered’, and just before that time expired he was offered $10 million for his role in Dumb and Dumber. Wouldn’t it be great if we could just wake up in the morning, brush our teeth and put on our confidence for the day? Well, for those of us who don’t have a drawer full, here are 4 simple strategies that will help you build confidence. Be your own best friend. What do you tell a friend who’s tried something new, whether or not it turned out well? At least you tried something new- good for you! Accentuate the effort it took in doing something, rather than the final outcome. (You’d do it for your best friend, wouldn’t you?) We all have limitations. The key is to accept that you have them without dwelling on them. When you are about to embark on a new experience, do you spend your time worrying so much about the outcome you aren’t enjoying the moment? If you look at new things in your life as a chance to learn something, it opens up the possibility of you becoming good at that something. If you spend your time dreading the outcome, you’ll turn any opportunity there might have been into a failure. What’s more, we can’t grow when we are frozen with fear. Don’t set yourself up to fail. If you do, look at number one, again! We all use self-talk. The key is to use it in a way that we don’t form bad thoughts that can lead to permanent doubts. Catch yourself using negative self-talk and cancel it with something positive and not based on assumptions! Build confidence by not expecting perfection from yourself at all times. You can only do your very best at something. Nobody can do everything perfectly, so why do you assume that you should be able to? If you always rely on the opinion of others, you’ll always be wondering what they think! That does nothing to build confidence – it tears it down, by giving away your personal power to others. Focus on the real you, inside, to find out how you feel about your own actions, how you’ve been doing your job, etc. You’ll be developing a strong sense of who you are. It’s important to remember that no one can be self-confident all of the time. In fact, you’ll build confidence faster and easier once your realize that. 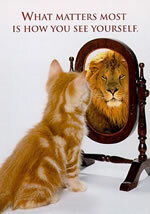 Most people with low self-esteem or who lack in confidence are that way because of unrealistic expectations. They expect more from themselves than they do others. A person with low self-esteem will think nothing about calling him or herself a ‘stupid idiot.’ They wouldn’t dream of saying that to someone else. To build confidence it’s a good idea to be your own best friend. 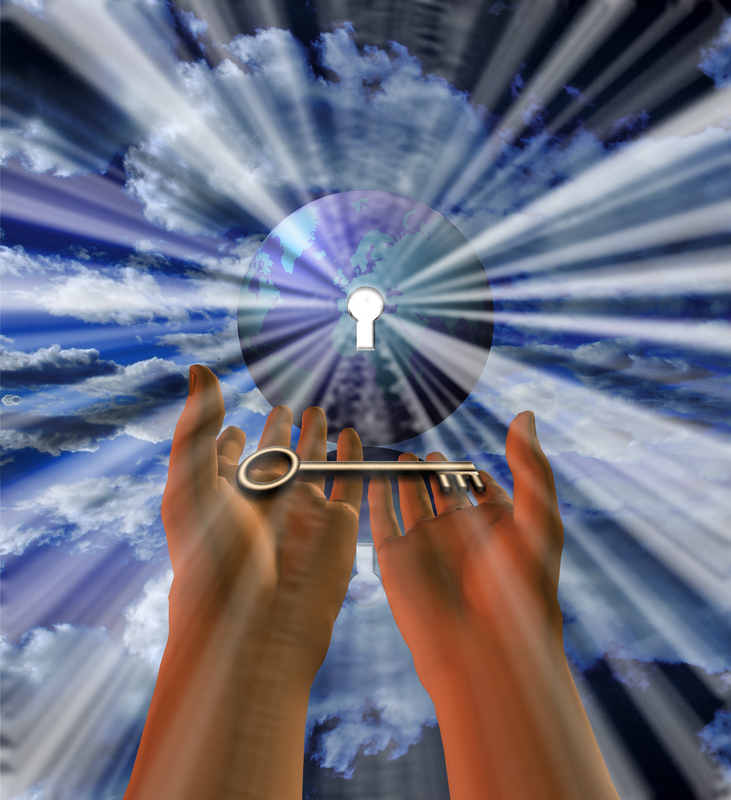 What is the history of the Law of Attraction? How long has mankind known about it? How much did they know and why are people still not using it today? Would you like to know the Secret? The Lord Buddha said “All that we are is the result of what we have thought“, the Darby Bible Translation tells us that Job, 3: 25 of the old testament, declared, “For I feared a fear, and it hath come upon me, and that which I dreaded hath come to me.” It seems that both Buddha and Job understood the eternal workings of the Law Of Attraction. However, unlike the enlightened Buddha, Job, like the majority of people today, suffered the dire consequences of not using this law to his advantage! Jesus himself was one of the greatest metaphysical teachers of this Universal Law. The Law Of Attraction at its very basic level states that everything is created by thought and that thought attracts to itself, physical things, people, situations and circumstances. Your thoughts are attracting these things in this very moment! However, we do not just create and attract the material things that enter our lives, we also create the body we occupy, the personality we display and, ultimately, the person we are and we do it all through our thoughts. Are you creating the life you desire and becoming the person you wish to be or are you like Job and bringing upon you all manner of woes because you are giving your attention to them? Perhaps you are even identifying yourself as a victim and refusing to acknowledge the Law and use it consciously! The Law Of Attraction is not as big a Secret, as the hit movie would have you believe. It has been around since the dawn of time and is an unbending, ever-present rule of the Universe. You cannot escape it! There is a great body of evidence that suggests mankind has known about, and utilised, the great Law for about 7000 years. However, the teaching of universal truths did become clouded for many hundreds, if not thousands, of years by greedy self-serving dogmatists that wished to keep control of the masses and was actually banned at one point. It was largely at the beginning of the 20th century that the general public started to become aware of this great law due to the diligence, fortitude, integrity and grace of writers such as James Allen (1864-1912), Napoleon Hill (1883-1970) and Charles Haanel (1866-1949). Wallace D. Wattles (1860 – 1911) was another pioneer of free thinking. In his great work “The Science of Getting Rich” Wattles states a great truth, “There is a thinking stuff from which all things are made, which, in its original state, permeates, penetrates, and fills the interspaces of the universe. A thought in this substance produces the thing that is imaged by the thought.” How revolutionary that statement was in 1910. Haanel set out in a 24 part correspondence course, which is now condensed into one volume called “The Master Key System“, a complete guide to successfully using the Law Of Attraction! It was banned by the Church in 1933 due to its revelations. This is allegedly the book Bill Gates read before he created Microsoft! Napoleon Hill revealed Andrew Carnegie’s great Secret to the world – that thoughts create things – when he wrote “Think & Grow Rich” in 1937 (although it had taken him 25 years to complete). However, although the teachings have been around for thousands of years and they have been readily and easily available to the general public for almost a century the great majority of people do not take the time to learn the workings of probably the most powerful physical law in the Universe. I think you owe it to yourself to delve deeper into this mysterious Universe and learn as much as you can about the laws that govern your life. When you truly understand the Law Of Attraction and begin to work with it for your personal advantage, I promise you, your life will change in fantastic, unexpected and unlimited ways. I discovered this myself less than 4 years ago, and have spent much of these years putting it into practise and observing the results. I can say that I know that what I experience in my reality directly correlates to the quality of my thoughts, and I can take conscious steps to guide my life in the direction I want to go, because of this knowledge. I have achieved some amazing and awe-inspiring results. Begin now to utilise this gift and construct in your imagination the life you really want to live. Seek out ways to remove your own inner resistance and limiting beliefs. Start to use the Law Of Attraction today! You have nothing to lose by opening your mind, and EVERYTHING to gain! A few weeks ago, I wrote ‘Ever considered writing and self-publishing?’. It was a very popular post, which tells me of the tremendous desire many of you have to write and self-publish. I have a few writing projects of my own in process at the moment. In the meantime, I came across a beautiful old book that is out of copyright. Therefore, it is legal to republish it. It is such a wonderful book about travelling around Ireland. 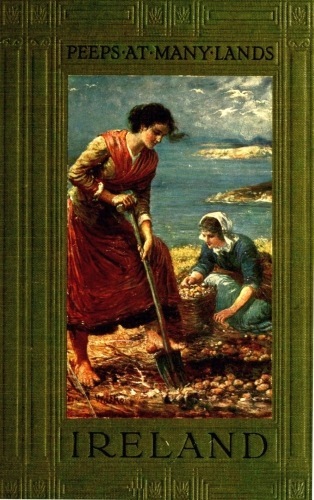 Katharine Tynan was an Irish-born writer, who moved to England after she married. She wrote Peeps at Many Lands: Ireland on a visit back to her country of birth. She travelled around several counties and paints a wonderful picture of the colourful Irish characters, which vary considerably in different parts of Ireland. She further compares and contrasts her countryfolk to the English people she had come to know. Beautifully illustrated, this delightful book just called for me to reincarnate it. My own personal reason for being drawn to this book was because it described the coastal regions of Donegal, where my great-great-grandfather was the lighthouse-keeper at Moville for some years. Although he and the lighthouse are not mentioned, I did like to fantasise that he was probably around at the time this book was written. Isn’t it wonderful where books can take us in our minds? Peeps at Many Lands: Ireland is available to purchase from Amazon.com and Amazon.co.uk. This was good further practice for me. Although I had created Kindle books for another author who has moved into self-publishing, I had not created one which included pictures. I also had not yet actually self-published through the Kindle Direct Publishing program myself. Remember, you do not need to own a Kindle to read Kindle books. By clicking on the Kindle logo to the right of this page, you can download a FREE Kindle app to read Kindle books on any platform. There is a concept in coaching called seed planting. It means that it takes time for new ideas and suggestions to be embraced. There are clients that take hold of a new idea and run with it, some take a little more time to allow the idea to grow while others can take years before the idea sprouts. Still some clients will never grasp the idea. It will simply lay dormant. It doesn’t really matter what the client does with the idea. The purpose is to plant the seed and the client can do with it what they will. 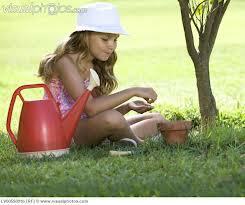 Sometimes the idea just needs time to germinate. 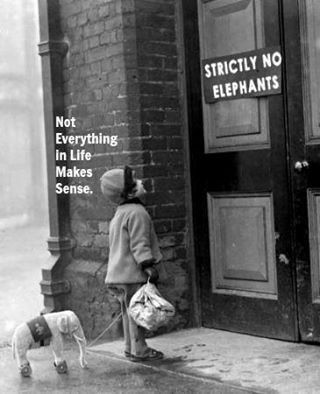 A counsellor once told me that not to make a decision is a decision. She said not to choose was a choice. I thought she was nuts and went on with my life. It was some years later when I was in the middle of a situation where I was avoiding a decision that her words hit me like a ton of bricks. I literally said out loud, “I get it.” It took years for that seed to germinate in my brain until one day it sprouted and grew into a concept I understood. I was finally ready to get it. I wasn’t able to hear it before, but with time, I had evolved enough so the concept made sense. New ideas can take time to get used to. When we first hear the idea we may not be ready for it. That is fine. When you are ready the idea will sprout and grow and be there for you. The other side of this is not to force your ideas and suggestions onto other people. By all means share them, but leave it at that. Seed planting isn’t an aggressive act; it is gentle and done with love and compassion. All you can do is plant the idea. What happens to it is up to the individual and what they are ready to hear at that very moment. The idea may sprout right away or it may take years. That isn’t your concern. Your job is to plant the seed and move on. I recognised this in my own life a few years back. When I was really poorly and in a lot of pain, I visited a pain clinic in Spain several times. On my last visit, as I was leaving, the physiotherapist suggested I might like to read a book or watch a film called ‘The Secret’. I came back to England and carried on with my life, the same way I had been doing, for the next 18 months or so. Things got worse and worse for me, until I hit my rock bottom, and there made a decision that things HAD to change. Within a couple of weeks, the words of that physiotherapist came back to my mind, and I obtained a copy of the film ‘The Secret’ by Rhonda Byrne (UK version). Well, things changed in my life so quickly. Absolutely for the better. I couldn’t believe I had been given this guidance such a long time previously, but I hadn’t acted on it. I had made the decision at that time NOT to act. The reason was because I wasn’t ready for it. My desire for the change had had to become stronger. Everyone is at different places in their lives. Sometimes you will understand the new idea right away and perhaps even take action on it in the moment. At other times it will take a while. Don’t beat yourself up when you don’t get something right away. It just means the idea is in germination. When you are ready the idea will sprout and grow and be right there to support you. Until then don’t worry about it and go on with the ideas you are ready for. 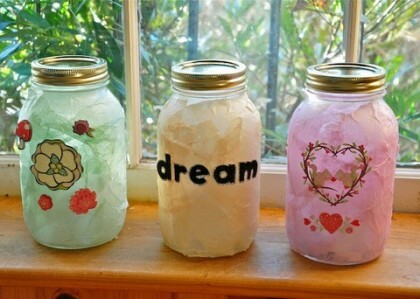 There will be plenty of idea seeds sprouting at any given time to keep you busy. The same concept applies to perseverance. When you do embark on something new, be it a business, a new health regime, a sport, etc. you would rarely expect to see the result you want overnight. You expect challenges because it is new, it is out of your comfort zone. There will be times when it gets so difficult that you want to quit. You need to realise that you are making the decision to quit or not to quit. I began writing this blog 6 months ago. Right up until 2 days ago I was anxiously looking at my statistics to see how many readers I had. I was achieving a readership level of roughly between 6 and 25 views on the days when I wrote something, which wasn’t every day, and which became less frequent as I became a bit disheartened. I felt like nobody was interested in what I was writing and I did consider quitting. However, I remembered back to when I ran a business many years ago, and I remembered it took 2 years before it became profitable. It then became considerably successful for the next 6 years. I decided to look beyond my writing, and researched blogging effectiveness further. Over the last couple of weeks I learned how to optimise my blog with tagging, coding. I began networking with other bloggers, and I learned how to publicise my blog more effectively. I developed my skills, and became more hopeful. And for the last week I have been following the Having It All program by John Assaraf, also available in the UK. Yesterday, I woke up feeling hopeful and when I looked at my blog stats I had had 57 views overnight! I decided to set a goal to see if I could achieve 100 views by the end of yesterday. I actually achieved 130 views in one day! Talk about excited, I was ecstatic! And already today, up to this point, there have been 111 views. It has certainly given me new motivation to decide NOT to quit. I realised it was not about people not wanting to read what I wrote, it was about me planting my seeds but not nurturing them enough, like failing to water and tend to the plants.